foods are delicious, filling, and versatile­—what more could you ask for in a weight-loss food? Shakes can be blended with fruit, extracts, or any sugar-free flavorings to create hundreds of different recipes. Delicious calorie and portion-controlled Entrees are a convenient and nutritious “fast food” option for weight management that require no refrigeration or freezing, making them a great choice for work or home. In addition to Shakes and Entrees, offers a variety of other delicious food options you can enjoy as part of your weight loss or weight maintenance plan. This time, losing weight can be different. 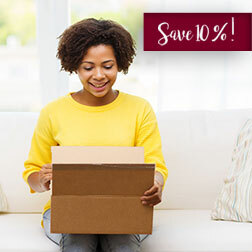 Automatic food delivery, personalized support, & extra savings!